Coquitlam, BC: Punch Tools Inc. successfully completed the acquisition of all outstanding shares of Anka Tool and Die Ltd. based in Port Kells area of Surrey, BC. This strategic acquisition gives greater scope for Punch Tools design and engineering services to expand beyond traditional borders as part of our expansion plan. Anka will continue to operate from their existing premises. "When we learned that Anka's owner Dave Hall wanted to retire we were very excited about the opportunities for growth in new industries" comments Punch Tools VP Jim McKinlay. "We worked with Dave to put together a deal that rewarded him for all the inspiration he put into building Anka over the past 20+ years. 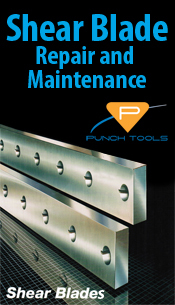 "Anka's customers are in good hands with Punch Tools and I couldn't be more pleased with the successors to the ongoing operations" notes Dave Hall. If you would like to know more about us or would like to discuss your needs for high quality manufacturing solutions please call us at 604 521 6444.